On Tuesday afternoon, some of the best individual time trial riders from the women’s elite racing scene will take to the course on the streets of Ponferrada, Spain, to compete for the right to wear the coveted rainbow jersey (or skinsuit) of the world champion for the forthcoming year. But there won’t be a British rider among them. It is true that there aren’t many medal contenders available to BC. With both former British champion Joanna Rowsell and Katie Archibald (who finished second at the British nationals this year) choosing to ride the track at the national championships this week, Pooley would surely have been an automatic selection for one of the two places had she not retired. Elinor Barker, who looked like a leading candidate to take on the role as one of Britain’s leading time trial rider when she won the junior event at the 2012 world championships, will also be riding at the track nationals. That leaves BC with a difficult choice. They could for instance, ask two members of the road team to ride the event, but riders like Lizzie Armitstead are unlikely to want to risk burnout in an event they’re less likely to succeed in with the road race only a few days away. In fact, Armitstead would seem the only rider in the road race team to consider. With two mountain bikers in Alice Barnes and Annie Last, the rest of the team don’t look to have the time trial pedigree to warrant a selection for the worlds. Sharon Laws and Lucy Coldwell, who both failed to make the final road race team, have had fine results in time trials in the past but are now 40 and 30 years old respectively, making it questionable whether it would be worth funding them for experience alone. Laws has previously been the British national TT champion, while Coldwell came eighth at the Commonwealth Games earlier this year, but Laws seems to be consistently out of favour with BC while Coldwell is unlikely to place well in such an elite field. 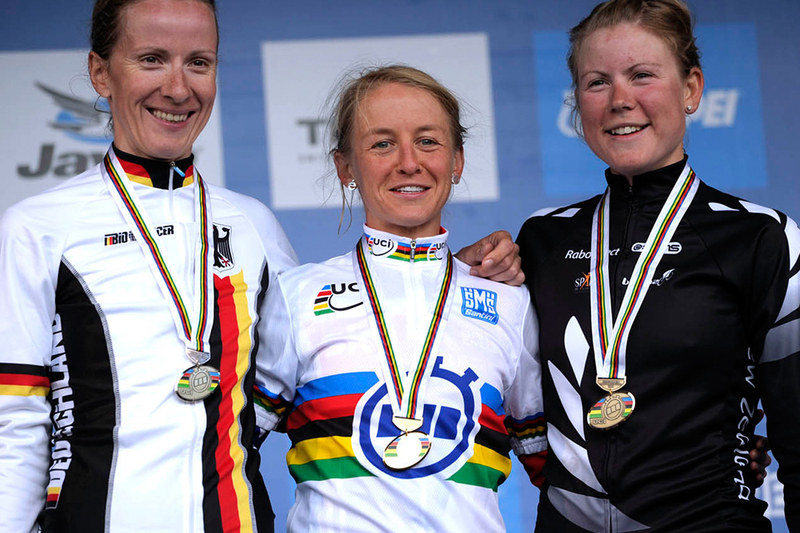 Sarah Storey would be the only viable remaining option, having placed third at the nationals this year. But like Laws and Coldwell, the experience would be relatively inconsequential to Storey and she’s unlikely to be able to compete with the favourites in the race.